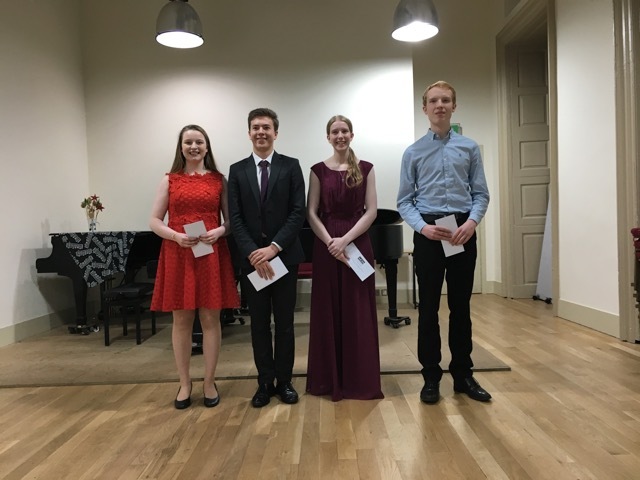 The AESS is proud to announce the winners of the 2107 Catherine Lambert Junior Recital Prize held at Trinity Laban Conservatoire of Music and Dance on Sunday 19th November at 2pm. The judges were Jonathan Courage, Jean Hornbuckle and Jane Roberson. 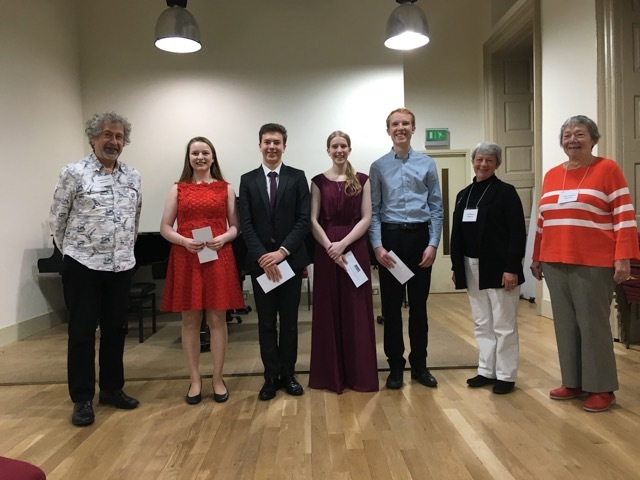 The standard was very high once again and the AESS is very grateful for all the hard work the seven finalists, their accompanists and their singing teachers put in, to make this such a thrilling afternoon. The Recital Studio was full of friends, family, AESS members and most of the singing teachers of the candidates, living every moment with their singers. We are very grateful to Tim Pottier, the programme manager at Trinity Laban, for helping Carolyn Richards with all the organisation on the day. Also thanks go to Mark Griffiths, Head of Singing at Junior Trinity, and to Tabby Estell, Head of Junior Trinity Laban, for letting us come to Trinity. We are especially grateful to Carolyn for making this such a friendly and engaging event throughout the process. The refreshments were very welcome in the interval and whilst waiting for the judges to make their decisions. We wish our four prize winners every success in the future. This entry was posted in Past Events on November 20, 2017 by AESS.